During early 17th century, Paradip and its adjoining areas were connected with Cuttack through river Mahanadi and its branches. Transportation of goods from rural areas to Cuttack was done through waterways via Dhamara and Patamundai. But slowly this discontinued due to silting of the river bed. In 1819, the British constructed a sort of a harbour at north of the present Paradip site the then called False Point. In 1862, the East India Irrigation Company explored the potential of Paradip for transportation of rice from the area. 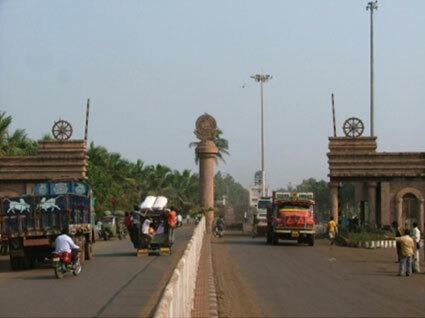 The importance of Paradip grew more during the great famine of 1866, when it was used as the main entry point for import of food materials to the famine struck area. During early post-independent period, a minor port came into existence at Paradip in 1958 through the efforts of the State Government. Subsequently, the Government decided to construct a major port there. The foundation stone for Paradip Port was laid by late Pandit Jawaharlal Nehru, the then Prime Minister of India on the 3rd January 1962. On completion in 1965, the port was taken over by the Government of India from the State Government on the 1st June 1965 and port was declared open on the 12th March 1966. Paradip Port was declared as the 8th major port of India and the first major deep sea port in the east coast commissioned after independence. The Paradip Port Trust came into being in 1967 for development and management of the Port.